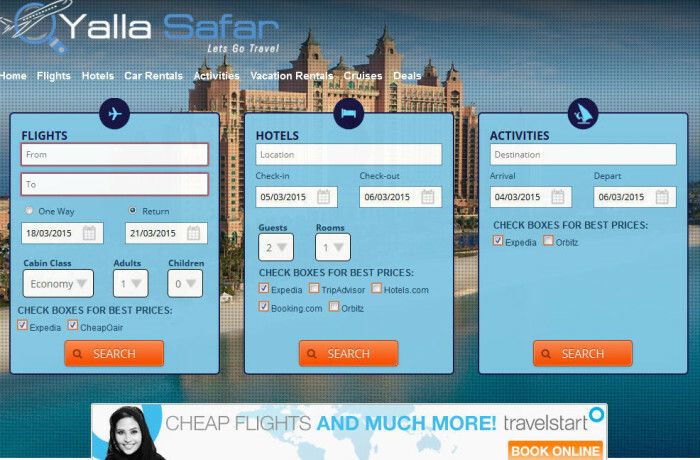 We were tasked by our client, Yallasafar.com (which means "Let's Go Travel" in Arabic), to develop a travel price comparison site for flights, hotels, cars, activities, and more. Silverfox Digital tackled this project by conducting a feasibility study and jointly developing the Yallasafar.com business plan. Our development team mapped out the design and functionality from the ground-up with our client. Silverfox prepared Yallasafar.com through to its alpha stage and is now providing advisory services for online branding, social media, and performance marketing.